4 Channel Twin Fire Ignition Module 30-2821. 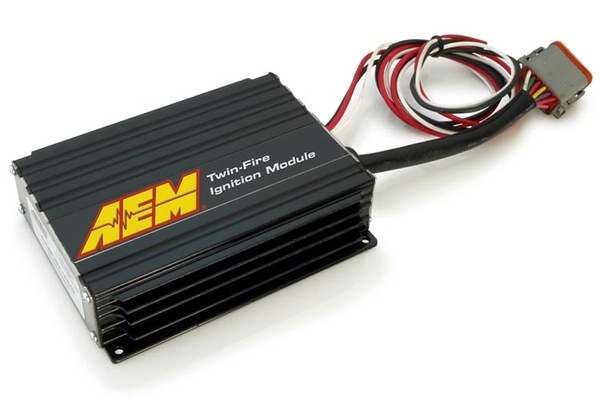 AEM's digital multi-channel Twin-Fire Ignition is the lightest, smallest and most cost effective ignition module on the market. This unit is available in four- and eight-channel configurations, works with O.E.M. coil-on-plug and distributed spark systems, and is ideal for race applications that utilize aftermarket stand-alone engine management systems.